BACK TO "BACK TO GODHEAD"! 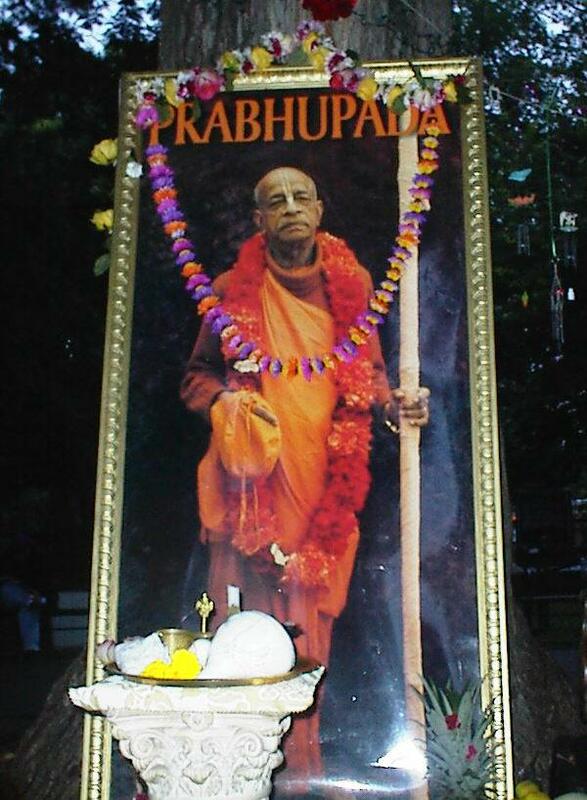 The essence of the old "Back to Godhead" -- as produced under Srila Prabhupada's auspices before he departed from our earthly view -- is captured once again in this most magnificent volume (Vol. 13, No.1). Words can scarcely describe the pleasure you will feel upon viewing the contents of this beautiful offering. Cover to cover brims with glorious artwork (the cover art pictured here is only a small hint of what lies within), wonderful photographs and stories, and illuminating articles and literature (including the text of a lecture on Spiritual Evolution delivered by Srila Prabhupada following a Ratha-yatra parade in Philadelphia, July 1975). Plus much, much more! - click below to view a list of some of the contents. 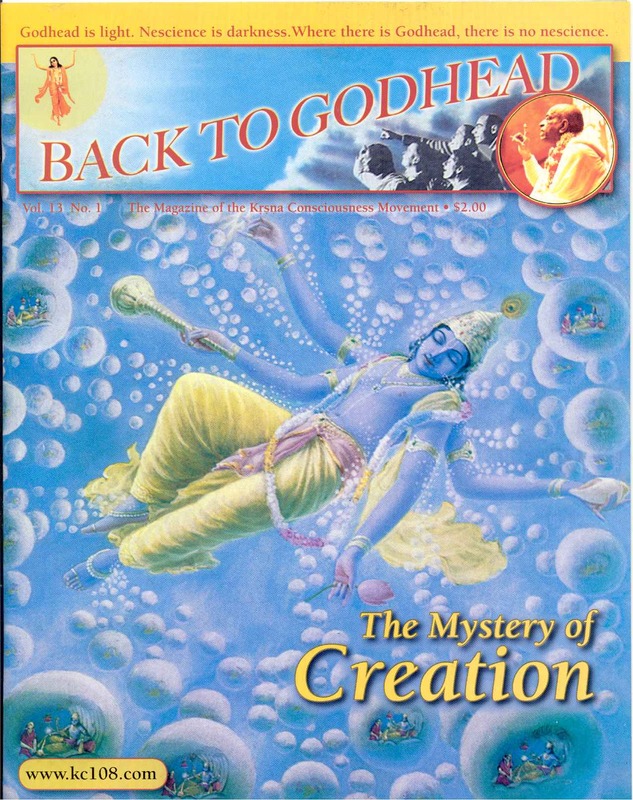 Those making a donation of $10.00 or more to Protect A Cow will receive a free copy of this delightful volume of "Back to Godhead." You may make donations by mail to Protect A Cow c/o Ralph Laurino 1190 Spruce Hill Rd, Port Royal, PA 17082. Or use the PayPal button at the top of the page. Please include your mailing address in all correspondence so that we can quickly send you "Back to Godhead"!